DividendMax»Company Coverage»Country:United States»Exchange:NASDAQ»Sector:Technology Hardware & Equipment»Company:Kla-Tencor Corp.
KLA-Tencor Corporation is one of the world's leading suppliers of yield management and process control solutions for the semiconductor and related microelectronics industries. 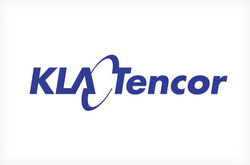 KLA-Tencor was created in 1997 following the merger of semiconductor equipment industry leaders, KLA Instruments and Tencor Instruments. The California-based company's portfolio of products, software, analysis, services and expertise is designed to help integrated circuit manufacturers manage yield throughout the entire wafer fabrication process, from research and development to final mass-production yield analysis.